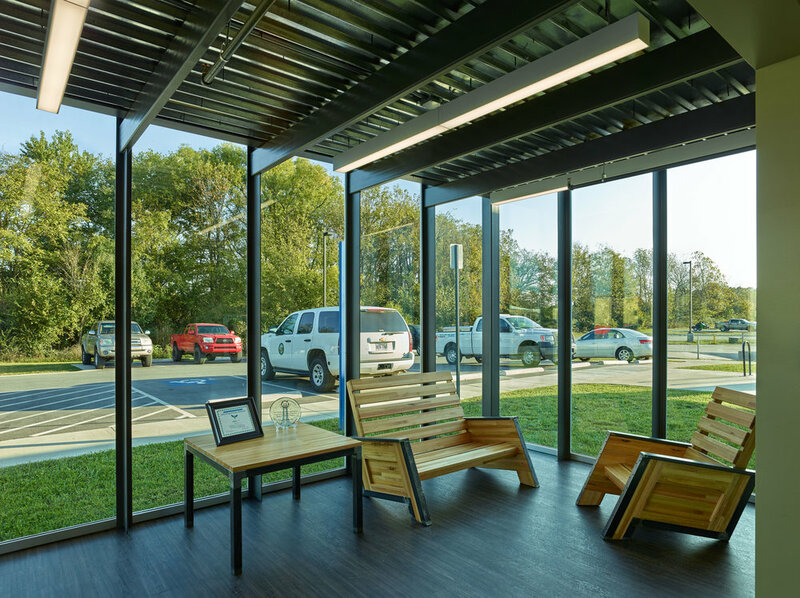 DEMX Architecture collaborated as Design Consultant with McGoodwin, Williams, and Yates (Architect of Record) on the renovations and expansion of the City of Fayetteville Recycling Administration building. In addition to the offices, the building acts as a hub for recycling and trash services for the city. 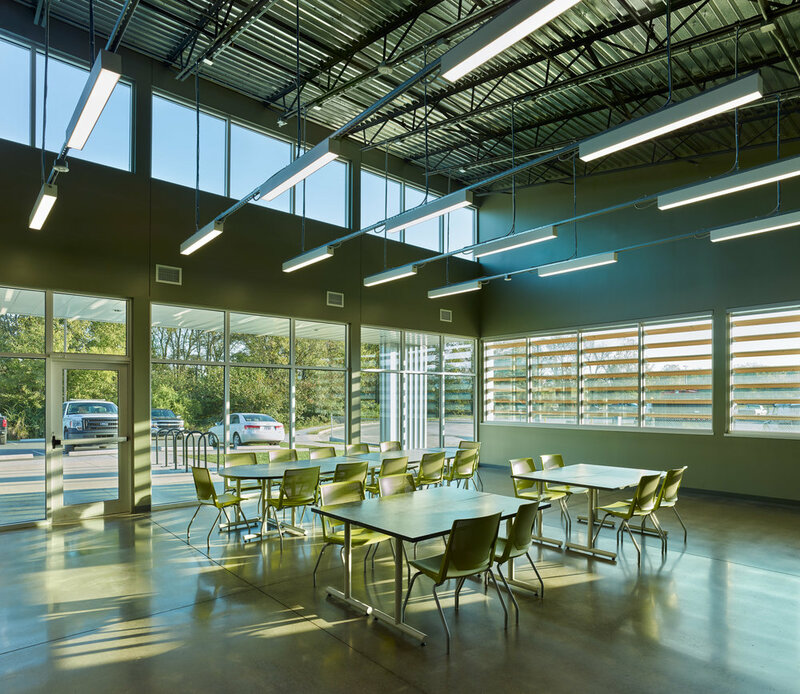 The large break room and training room is designed to accommodate operators of the city’s fleet of sanitation vehicles. The building also accommodates the city’s citizens and is their primary interface with their trash service.